Thank you to Team danceScape Students (Lucinda Bester Venter, Tammy Cruikshank-Burnside, Megan Burnside, Maureen Christensen) joining us at Project Autism, helpinp youth/young adults to learn to dance! Congratulations to Patrick Lee & Judith and Miss Jam for helping to organize “Dance Social”. #shallwedance? Project Autism Canada is a grassroots, community-driven organization that is dedicated to increasing public awareness, building positive acceptance and providing vital community support and education programs for those living with, and affected by, the vast Autism Spectrum Disorder (ASD). 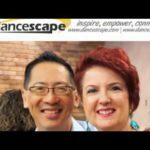 danceScape was founded by Robert Tang & Beverley Cayton-Tang, 3-time Canadian and 2-time North American Ballroom Champions, as seen on Dragons’ Den (CBC), Healthy Gourmet (Oprah Winfrey Network), ParticipACTION’s “Get Inspired. 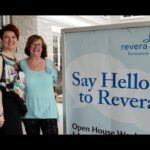 Get Moving” fitness campaign, Canada in a Day (CTV), and the Marilyn Denis Show (CTV). danceScape’s mission is to inspire people to laugh, be fit, make fun friends, and experience romance through Dance. We teach people to gain confidence in themselves, not only on the dance floor but also in their personal and work life. We connect couples and singles from cross generations to live fun, fearless, and magical lives. #shallwedance? — with Patrick Lee, Tammy Cruikshank-Burnside, Megan Burnside, Maureen Christensen, Beverley Cayton-Tang and Lucinda Bester Venter at danceScape.